Joyce A. Szemplenski, age 75, of Camdenton, passed away Saturday, August 4, 2018, at Lake Regional Health System in Osage Beach. She was born March 28, 1943, in Minneapolis, Minnesota, a daughter of the late Leo and Annette Denne. On October 28, 1963, in Omaha, Nebraska, she was united in marriage to her surviving husband, Theodore “Mike” Szemplenski. 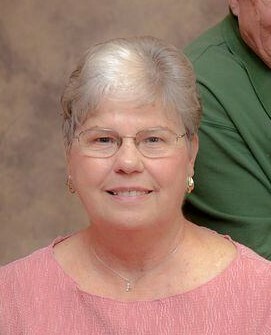 Joyce received her bachelor’s degree from the University of Nebraska Omaha and her master’s degree in deaf education from the University of Iowa. She taught at the Iowa School for the Deaf for thirty years until her retirement. She had a passion for gardening and was a member of the Lake Bloomers Garden Club. Joyce was also a member of the St. Patrick Catholic Church in Laurie, the Knights of Columbus Ladies Auxiliary and the Zeta Tau Alpha Sorority. Joyce loved her family and treasured the time she spent with them. In addition to her husband, Mike, she is survived by her daughters, Ann Plaza and husband Chris of McLean, Virginia and Janet Szemplenski of Omaha, Nebraska; five grandchildren, Matthew Plaza, Katherine Plaza, Madelynn Szemplenski, Randi Szemplenski and Theodora “Teddie” Szemplenski; her brother, Charles Denne of Omaha, Nebraska and many other relatives and friends. A Mass of Christian Burial was je;d at 11:00 a.m., Tuesday, August 7th, at the St. Patrick Catholic Church in Laurie with Father John Schmitz celebrating. Graveside services and interment followed in St. Patrick’s Cemetery in Laurie. Memorial contributions are suggested to St. Patrick Catholic Church or to the Lake Bloomers Garden Club. Thanks to Kidwell-Garber Funeral Homes, Laurie, MO, Susan Whitt and Elizabeth Simmons for the information.